Sakai Guides and DocumentationSakai Complete User Guide LessonsHow do I rename a Lessons page? 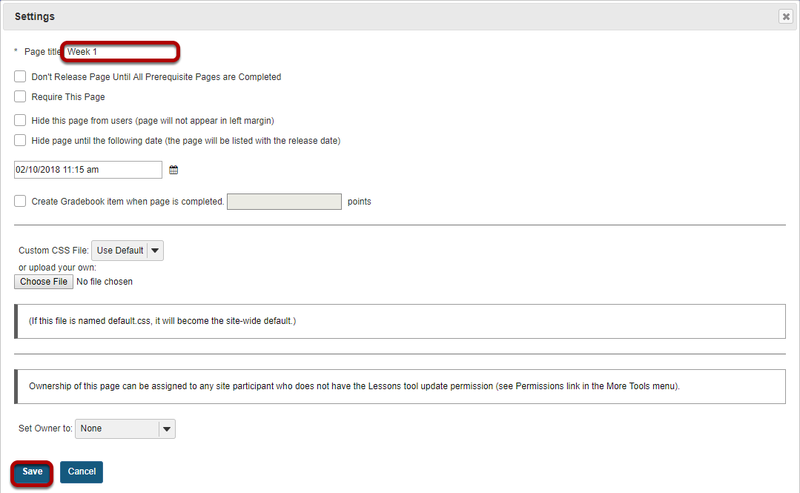 Click on the Lessons page title to display the page you want to rename. The Settings icon is a gear-shaped icon at the top of the Lessons page. Zoom: Edit the Page Title, then click Save. Prev: How do I require completion of a Lessons page? Next: How do I delete a top-level Lessons page?